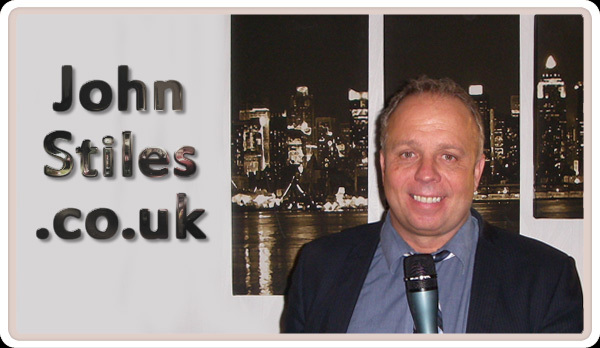 John Stiles is one of the funniest comedians we have had, his facial expressions and impersonations were hilarious and the audience were in stitches. He worked the members of the audience and found out who would be acceptable to receive the benefit of his wit and used that to included them in his act. Overall a first class comedian, who can entertain and hold an audience. Would fully recommend. John, we were delighted with your performance at our sporting dinner last week. The response you received I think spoke for itself and the feedback after the dinner was excellent. I am just dropping you a line to thank you very much for the fantastic performance you gave last week at our club. Your performance was very professional and extremely funny to a room full of guests, who gave us excellent feedback and have said how much they enjoyed the evening and how very funny you were. Thank you for a wonderful performance at our sporting dinner in Bristol. I think it goes without saying that the audience were delighted with your performance. The evening was a great success and I very much look forward to working with you again in the future. Thank you for your contribution to our Annual Dinner. Everyone I have spoken to thoroughly enjoyed your performance. Thank you once again for your excellent contribution to our Sportsman's Dinner. We were very impressed with your performance and would certainly be recommend you to any other clubs. It was a terrific night and the feedback so far has been very positive indeed. Both Nobby and John were excellent and had the audience captivated the whole time. - plus numerous smaller football clubs at all levels countrywide. - plus numerous local cricket clubs countrywide. PLUS NUMEROUS ROTARY CLUBS, MASONIC AND ROUND TABLE DINNERS.